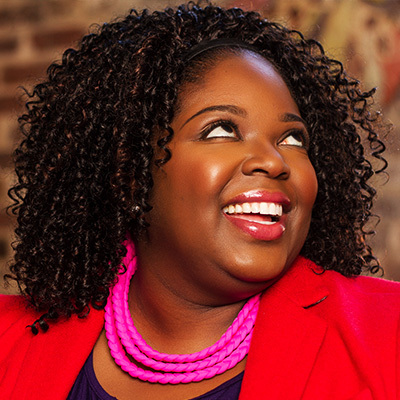 Nakita M. Pope is the Chief Chick Brand Strategist at Branding Chicks, a boutique branding studio in Atlanta, GA. Branding Chicks specializes in branding women-owned businesses and female-focused brands. As a brand strategist, she helps clients narrow their focus, gives their brands a voice, slingshots their confidence, and clarifies their message so that it resonates directly with their target markets. She also helps businesses large and small to brand or re-brand to attract and grow customer bases for new products and professional services through custom, creative, relevant brand-promoting strategies. Over the past 18 years, she has worked as a strategist, graphic designer, creative director and brand manager which has given her experiences that inform how she works with her clients. Her passion for brand strategy is also evident through her teaching advertising strategy, branding and design at the Creative Circus (one of the top-rated advertising portfolio schools in the U.S.) for the past 10 years. She is a board member of AIGA Atlanta, member of the AIGA National Diversity & Inclusion Task Force, Board Vice President for Smart Girls on Campus and Board Member of Good Thinking Atlanta. Along with her work and passion projects, she now gets to share her knowledge and experiences with a variety of audiences on the national speaking stage. I grew up in Jacksonville, Florida. I discovered crayons pretty early on and since then I've always been interested in creative expression. In high school, I took AP Art courses that focused on drawing and painting which lead me to continue on that path. Originally I thought I'd major in Architecture, but I wasn't a big fan of high-level math. I discovered Graphic Design my senior year of high school and that was the beginning of my pursuit of a career in design. I earned a B.A. in Graphic Design from Hampton University in Hampton, Virginia followed by graduate school at The Portfolio Center in Atlanta, GA. Honestly, I wanted to continue to be an artist but to do it on a larger scale. I didn't want to be a "starving artist" but I wanted to be able to use my natural skill to make a living. When I learned more about design I realized that it was the best of both worlds. I could still create something from nothing while solving problems, and it would be seen and appreciated by more people. I've been in the industry for about 20 years. I interned at a newspaper in various Advertising departments every summer before, during and after college. That experience taught me a lot about Advertising, Art Direction and Design. That and my education were the foundation of my career. Later, I worked as a graphic designer, art director, creative and director in a variety of organizations. Whether full-time, as a contractor/freelancer or as an entrepreneur those experiences have shaped my view of the industry and has given me to be well-rounded view. I've been a graphic design and advertising professor for almost 10 years at The Creative Circus. For the last six years, I've owned a boutique branding studio called Branding Chicks. We specialize in brand strategy, development and management for women-owned businesses and female-focused brands. Being able to speak to 100+ business students at Clayton State University and also at Georgia Tech about branding and being a creative in business. So often business programs don't consider the creative side of advertising and marketing and how it impacts business strategy. Representing our industry to people that will eventually be on the other side of the table from us when we pitch was important, and I'd like to think it will make it a bit easier for us. The other is being able to design the 85th Anniversary logo for my old elementary school (St. Pius V Catholic School in Jacksonville, FL) about 10 years ago. Some of my first encouragement to pursue my passion for art and consider it for a career came from my teachers there, and I was honored to give my time and talents to support the important work they do. The most rewarding but challenging part of my career so far has been being an entrepreneur. Basically, I only eat what I kill. I have to wear a lot of hats all the time to bring in business, sustain the business and still get the projects done. I absolutely LOVE it, but it's definitely the hardest thing I've ever done. Hmmm... I would say it is engaging in multiple things to further my career all at the same time. Sometimes I feel like I'm all over the place, but all of my endeavors are connected. Whether it is my volunteer work, my business, teaching or my passion projects they are all things that I care about and that allow me to express my creativity and share the creative process with others. The connections and collaborations I've been afforded are because of that, and it keeps me inspired. It's been a journey. Getting my undergraduate degree in design at an HBCU had a profound impact on me. It had some influence on my work, but more than that it shaped me as a person. Early on in my career, I didn't see many people in the industry who looked like me. Not that they weren't there, but I wasn't exposed to them. I made it a goal to seek them out and study their work. They inspired me. They continue to inspire me. I can only hope that some of the work I do in the design community now and teaching other creatives have the same effect. Representation matters and that's not lost on me. I'm motivated by growth. I feel like there is always so much to see and learn. I've put in enough time to be an expert at a few things, but taking on challenges I never have before inspires me...even if I don't do well. Overcoming whatever fear is present to face a challenge head-on is a victory. My students also inspire me. They remind me of what it's like to be curious and hungry in a new world and learning a new subject. They teach me just as much as I teach them. LOL. Most of my family only partially understand what I do. They know that I own a business and they know that I'm happy. I think that's enough for them. I'm blessed to have friends and colleagues that understand my work, but more importantly, they understand entrepreneurship. Not all of them are entrepreneurs but I have enough of them around me that I have a support system. That is EVERYTHING on the hard days. I love the strategy of design. I love how designers think and solve problems visually. As I've morphed into a brand strategist I realize just how much strategy I was already doing as a designer and how that is what makes the difference between design that is simply aesthetically pleasing and design that is smart and achieves an objective. The industry has changed quite a bit over the years. It's a much more collaborative environment. Now having several designers collaborate on a project is pretty standard. In agencies designers, art directors, strategists, copywriters and digital teams all work together. I'd like to see that continue. Diversity of thought in design leads to a diversity of experience, expertise, race, age, gender, sexual orientation, and perspective. Those are the design teams that will continue to elevate the profession and create great work. I think part of it is seeing the value in working with people from different backgrounds and levels of experience. They have a great deal to contribute. The target markets we create for are diverse. If there are gaps in the teams that create for them, then that perspective is lost. They need a seat at the table, but they also need their voices to be heard when they are at those tables. I'm working on a book about branding for women entrepreneurs. It's been a long time in the making (what the hell was I thinking? ), but it should be done this year. I've also been doing a bit more public speaking and partnering with other branding agencies to do strategy for them and their clients. My goal has always been to get people to pay me to be me. In 5 or 10 years I will be doing more of that. Working with clients and brands, I love, teaching and speaking as much as possible and having opportunities to do strategy and brand development for a variety of brands. Although I still do design for my clients, my business is shifting to more brand strategy and brand management, where design is only a small portion of what I do. However, I design every day to market myself and my business, so I still get my fix. The best advice I have is to fall in love with it and keep finding ways to fall in love with it. This work isn't always easy, but re-igniting the passion you have for it is what will keep you going. Sometimes that means taking a new job, starting a business, working with different types of clients, collaborating with other creatives, changing what your role is within the industry, etc. It's a different journey for everyone.